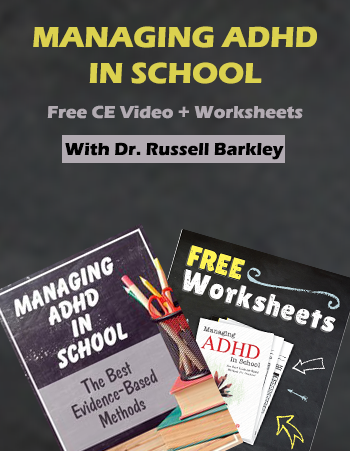 ADHD expert Dr. Russell A. Barkley shares more than 80 recommendations and proven strategies to improve the management of children and adolescents with ADHD through this FREE CE Video. Plus! 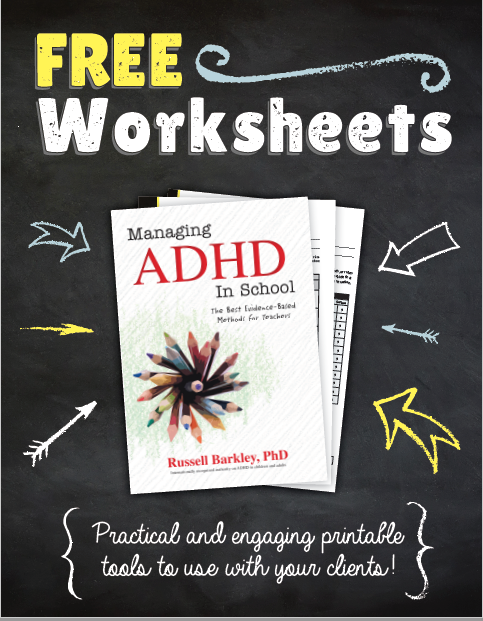 Don't forget to download the FREE Worksheets that can be implemented in the classroom to help overcome impairments and increase the success of children and teens with ADHD.